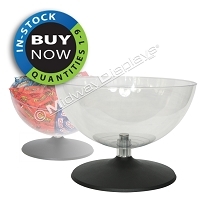 Buy Now from our Affordable Tray and Dump Bin In-Stock Retail Displays. 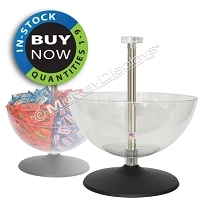 Our In-Stock tray and bin counter and floor merchandisers Ship Quick in Small Quantities! 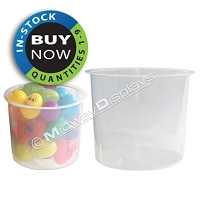 Midway Displays Dump Bin, Tub, and Tray Retail displays offer an affordable venue for merchandising beverages, snacks, plush, pet products and home goods. 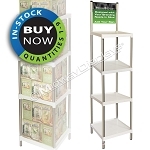 These fully adjustable great Display Floor Merchandisers will make any product stand out. 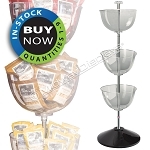 Locate them at your retail entrance and watch the people enter to see what’s new! 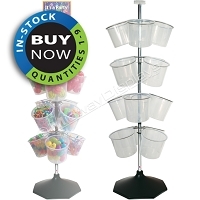 All our floor merchandiser’s height are set at the industry standard of 61” tall, which puts your complimentary sign clip at eye level to highlight your header sign with branding or promotional information, at the same time, not blocking the rest of your retail space. 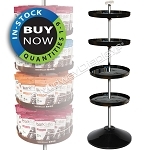 Our movable support clamps allow you to adjust the height of each product level on the vertical pole to accommodate various package heights. This provides you with total flexibility in your merchandise presentation. Purchase 1-9 here, on our online store. Call for volume pricing 708-563-2323. Price breaks begin at 26 and up. 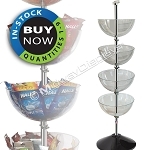 All the IN-Stock | BUY-Now Merchandisers are available for immediate Purchase to ship quick in small quantities.